A shrine dedicated to a Sufi Saint Nizamuddin Auliya, Hazrat Nizamuddin is a popular pilgrimage destination. The Hazrat Nizamuddin is not only frequented by thousands of Muslims but people of other faith too are seen in the Dargah seeking spiritual solace. Within the complex of the Hazrat Nizamuddin one can find the famous tombs of the Mughal princess Jehan Ara Begum and the famed poet Amir Khusro. The whole neighbourhood that surrounds the Dargah too is named after the Sufi Saint and is divided into two parts, namely Nizamuddin West, which houses the complex of Hazrat Nizamuddin and the a vivacious market that is dominated by many Muslim vendors. The other part is called the Nizamuddin East and the area is marked by an upper class residential area that is located between the Nizammuddin Railway Station and the Humayun’s Tomb. There are numerous other heritage monuments around the area including Chausath Khamba, Barakhamba, Nizamuddin Circle, Lal Mahal, Mirza Ghalib’s Tomb and Humayun’s Tomb. 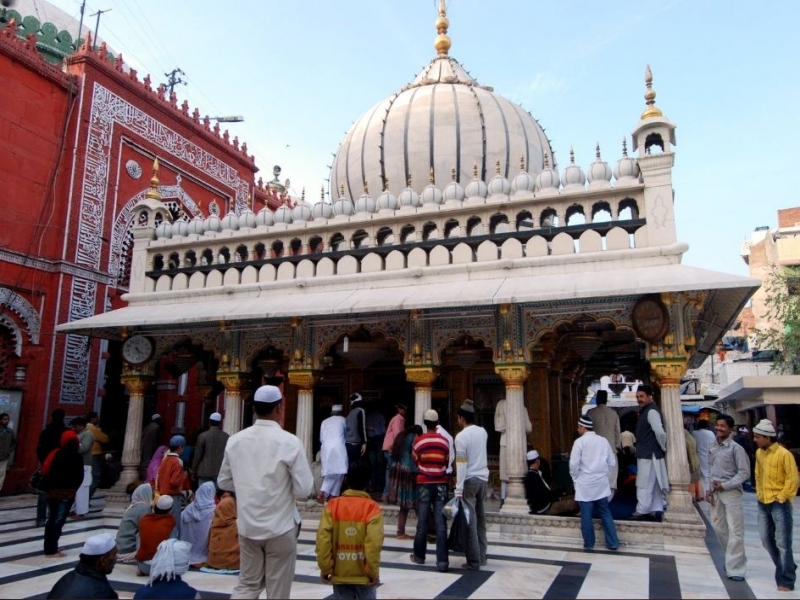 Been to Hazrat Nizamuddin (Nizamuddin's Shrine) ? Share your experiences!